Within 48 hours of placing your order you will receive an email from the Bush Center Store requesting the name for personalization. 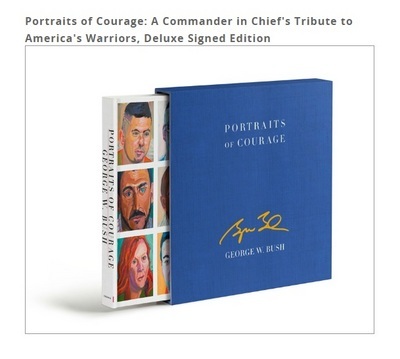 President Bush will personally inscribe the deluxe limited edition of Portraits of Courage to you or the name of your choice. Please allow up to six weeks for delivery.